Coast to Coast for the FFB: THE BIKES! We both rode touring specific bikes that we purchased within a year of our trip (it is best for your behind if you have time to break-in your "perch" before the big ride). We used both bikes in the 2004 National Multiple Sclerosis Society’s Bay-to-Bay Bike Tour, so each saw some road miles before the ride. The photos to the right of the descriptions are from when our bikes were total "newbies". Scroll down to the bottom of the page for some shots of our fully loaded bikes during the trip. Click here to see ALL of our other bikes! 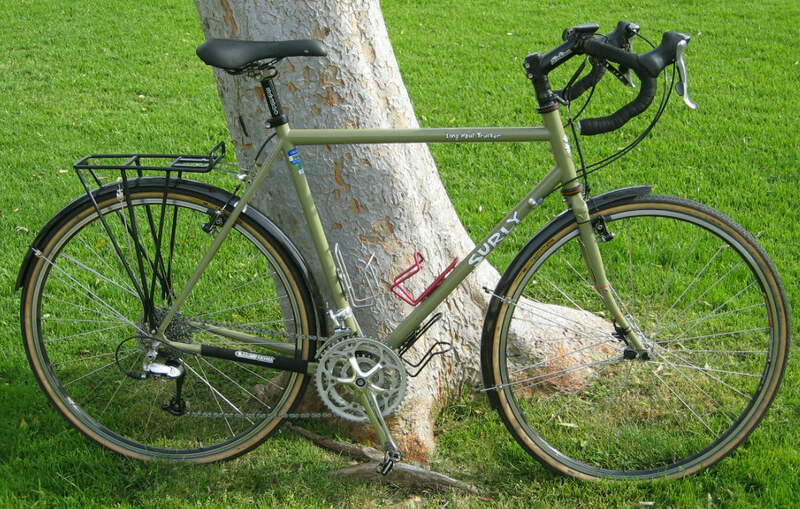 My trusty touring bike was built by Xavier Schwartz at Quality Bicycle Sales & Service (3952 Clairemont Mesa Blvd # B, San Diego, CA 92117, (858) 270-2412). Xavier has done a lot of touring and he runs a great local shop. He helped me piece this bike together from the ground up. Picking out all the parts was fun, but I had to be careful not to get too carried away. The result was awesome! I love this bike; the ride is sweet (super smooth and stable) and it looks cool too. I really like the old-school style lugs on the fork (check the Surly link). Water Bottle Cages (x3): Blackburn, etc. This is my first non-mountain bike! I am finally feeling the benefits of a bike designed specifically for the road - prior to this I was riding a mountain bike with slicks. 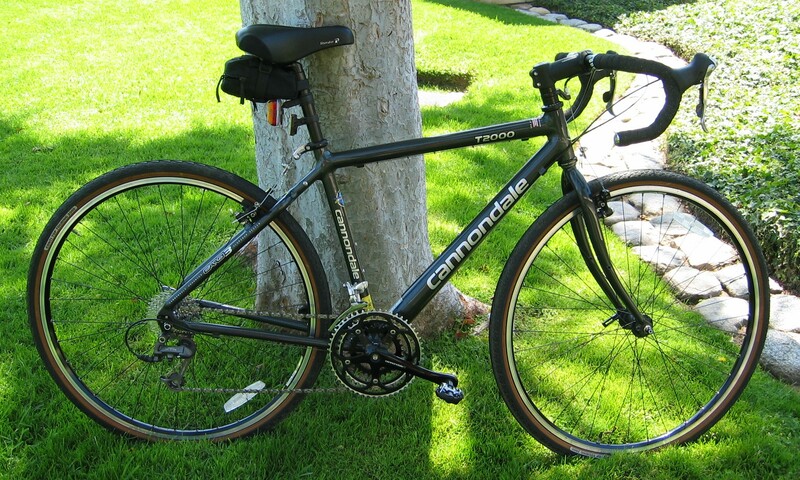 This Cannondale was recommended in several cross-country journals that I read while researching the various routes to take across the country. I do recommend having a bike fitting done to be sure your saddle, shifters, stem and bars are in the correct position for your body. I added shims to my shifters so the reach wasn't quite as far for my hands (they do make women's shifters but swapping them out was going to be a bit too pricey). Click here to see ALL of our bikes!